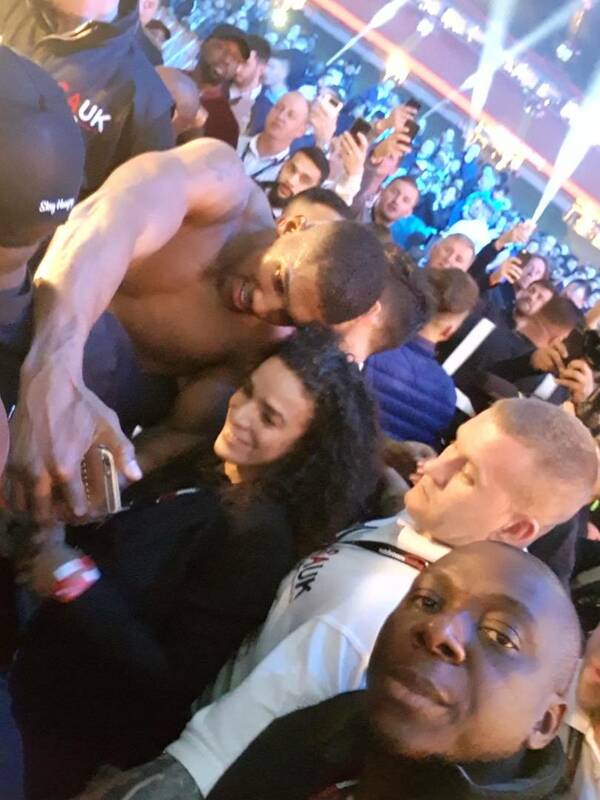 Home Sports Prince Okonkwo Pictured With Anthony Joshua After Cardiff Heavyweight Victory As He Plans Nigeria Visit. 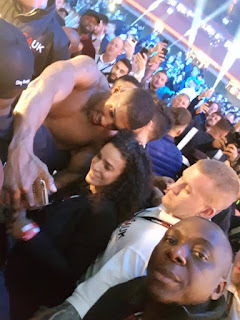 Prince Okonkwo Pictured With Anthony Joshua After Cardiff Heavyweight Victory As He Plans Nigeria Visit. 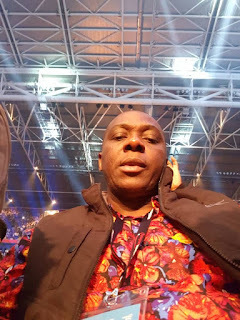 Former Anambra Governorship aspirant and Chairman of Tettrazzini Group of Companies Prince Donatus Okonkwo has congratulated Nigerian-born boxer, Anthony Oluwafemi Joshua for defeating Carlos Takam, a French Challenger by defending his IBF heavyweight titles few days ago. 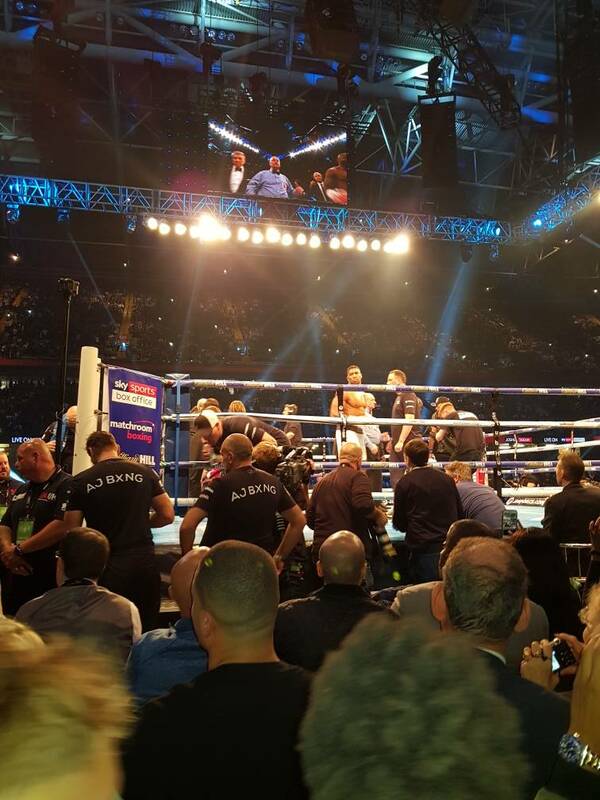 The Briton made it 20 victories from as many bouts in front of an estimated 78,000 at the Principality Stadium. 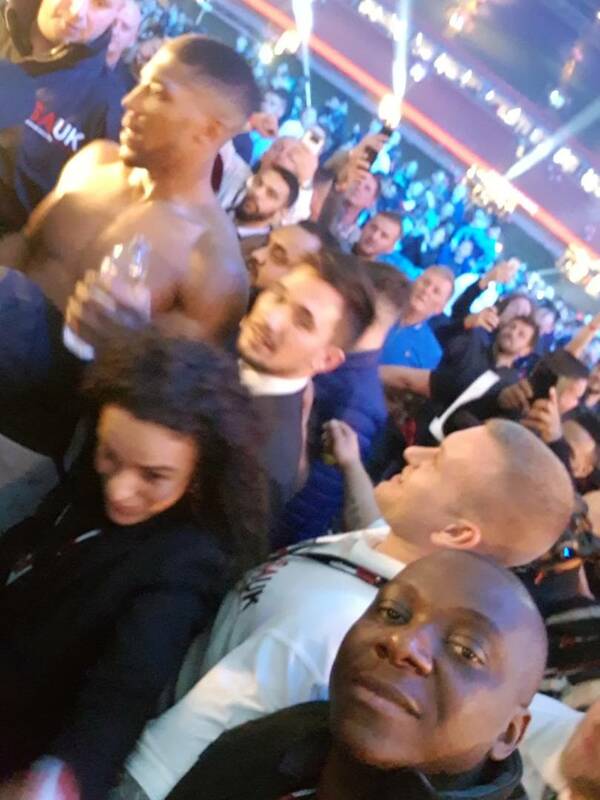 Okonkwo who was at the stadium at Cardiff to witness the fight live was pictured with Anthony Joshua after the victory which took him until round 10 for the Cameroon-born boxer to be stopped.‎ His company Zzini Media which is spearheading the African Tour of Floyd Mayweather in December is at advanced stage of concluding plans to bring the Nigerian- Boxer Joshua soon. 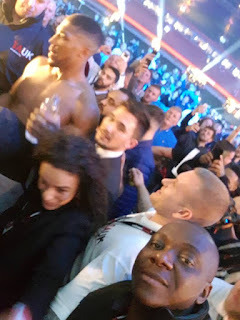 The Multi-millionaire businessman has been in talks with Anthony Joshua and his management and all coast seem clear to receive him in his Motherland. ‎Joshua, speaking after his victory at the weekend, seemed open to the possibility of a showdown with Wilder, but conceded he may have to fight WBO champion Joseph Parker first. 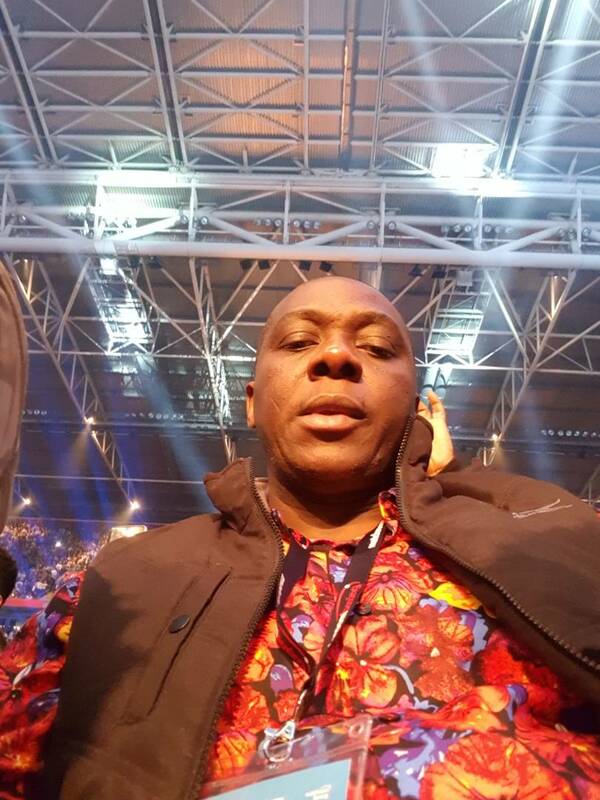 "The possibilities are bubbling nicely in the distance", said Joshua, 28.